A blog is kind of like a chicken. Which came first the Google results or the visitors? In order to show up in the search engines you must impress Google. In order to keep visitors coming back to your blog you must impress them the first time they arrive! Which came first, Google search results or the blog visitors? They are contingent on each other. If people do not come to your direct sales blog, then there is no activity. No activity means Google does not recognize you as important! Create incoming links from social sites by sharing snippets of articles on your blog in social sites. Comment on other peoples blogs (like this one) and put your url in the box that asks for it. Get people to your blog!! Once they are their - get them to engage! There's a reason so many blog owners have those seemingly worthless polls and surveys on their blogs. It's not that they care so much about what peoples' favorite colors or whether they prefer cats or dogs, the whole drive behind these types of activities is based around just one thing- engagement. An engaging direct sales blog is a blog that people like to check in on because their opinions or activity counts, and a blog where people feel like they matter is a blog that gets lots of traffic. Engaging your audience and helping them stay motivated to follow your business can be as simple as a goofy survey, or you could really go out of your way and keep your fans coming back by doing a contest. A contest is a great way to maintain and increase your blog's traffic, without a lot of promotion or advertising. When you have a lot more traffic without a lot of money involved, the end result is great potential profit for your business and your blog. Pick a contest that is easy enough to win, encourages customer feedback, and has an actual prize. Many business blog tips revolve around marketing strategies, like referring the most people to your blog or service and ending in a prize. A contest in which customer feedback and involvement in your business is important is a contest that is sure to please anyone you are trying to engage. Make sure the prize is something that makes your business look good as well as being something the winner can actually use. 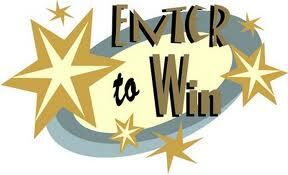 A common contest winning prize is a gift certificate to the hosting company's services. This way, you engage your fan base on your blog and reward them with things they already know and love. However you choose to do your contest, whether you go all out or just ask for simple suggestions, make sure you have an engaging approach to keep people coming back for more. Once your blog starts getting the recognition you are after, you can increase your contests to create even higher traffic than you could have ever imagined. The traffic or Google? Activity brings search results - Search results brings activity! You need one to get the other, just like the chicken and the egg.